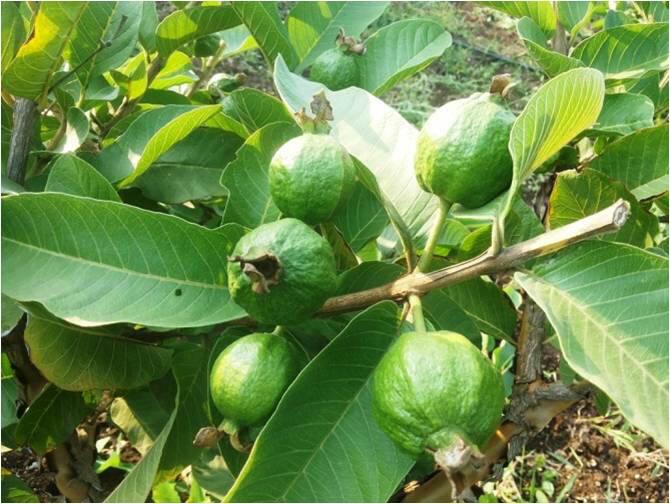 Guava is an important fruit crop of Rahata Taluka in Ahmednagar District that is grown in mriga bahar and hasta bahar season in Ahmednagar District. The area under guava is 3200 hectares in Ahmednagar District as per 2011-2012 data out of which more than 85 per cent area is in Rahata block. The guava cultivation is predominantly grown under light to medium soils that faces various problems like poor flowering, poor fruit size and quality. 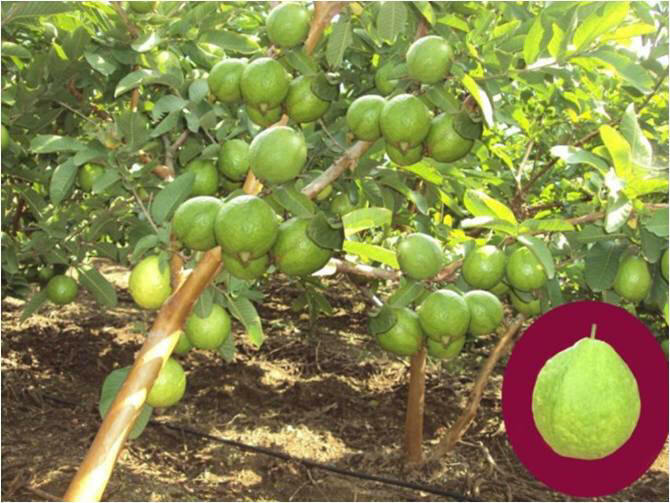 The average yield of L-49 or Sardar variety amongst guava growers is 175 quintals per ha.The farmers are using various technologies like use of micro irrigation and use of water soluble fertilizers. The net income of conventional guava in Rahata block is Rs 110000 per ha. Farmers are forced to undertake guava cultivation with poor quality of fruits and low yeilds. 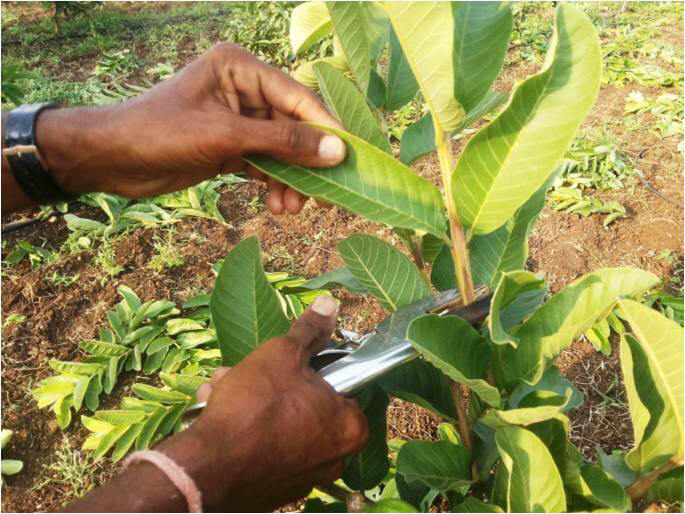 pruning guava plants thrice in a year has been modified to twice in a year once at May-June prior to june rainfall and second after harvest in October-November. During the other remaining period the pruning is restricted to thinning of unwanted vegetative shoots. After the success of guava meadow plantation at KVK Demonstration Farm the planting distance of 3 X 2.25 providing an average yield of 262 q/ha was recommended by KVK for new guava growers in ultra high density meadow plantation. Ahmednagar, Nashik and Aurangabad districts where the pomegranate cultivation was predominant. Now the fruit growers are slowly shifting to guava meadow orchard plantation due to increase in net icome from 110000 per ha 240000 per ha.